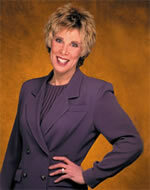 Patricia Bacall has been a graphic designer and strategic marketing consultant for over 25 years. A graduate of Art Center College of Design in Pasadena, she majored in advertising design. She has always been interested in the interaction between art and business, which prompted her to explore how "thoughts form design and design forms thought." She has owned Bacall:Creative since 1980. "We create logos and complete corporate identity systems, including stationery, marketing brochures and other sales tools, press kits, annual reports, and exhibit signage. Make sure you get the most mileage from your branding by integrating all of your business communications. We work closely with copywriters, photographers, website developers, printers, sign fabricators and public relations experts to make you look good in print and on the web."